Beauty alert! Here is huge breaking news for Star Wars fans. Our favorite makeup brand Max Factor has teamed up with Star Wars to create a mind-blowing makeup line that can help you turn into your favorite characters in like 20 minutes. The extremely anticipated American epic space opera “The Force Awakens’, 7th part of the Star Wars series directed by J. J. Abrams is due to hit the screens this winter. It will feature new cast along with older acting staff, namely John Boyega, Daisy Ridley, Oscar Isaac, Andy Serkis, Domhnall Gleeson with Harrison Ford, Carrie Fischer, Lupita Nyong’o and Peter Mayhew, about which we are sure you all are more than excited. Undoubtedly, you have seen trailers uploaded on the Internet and know what appearance most of the actors will have. 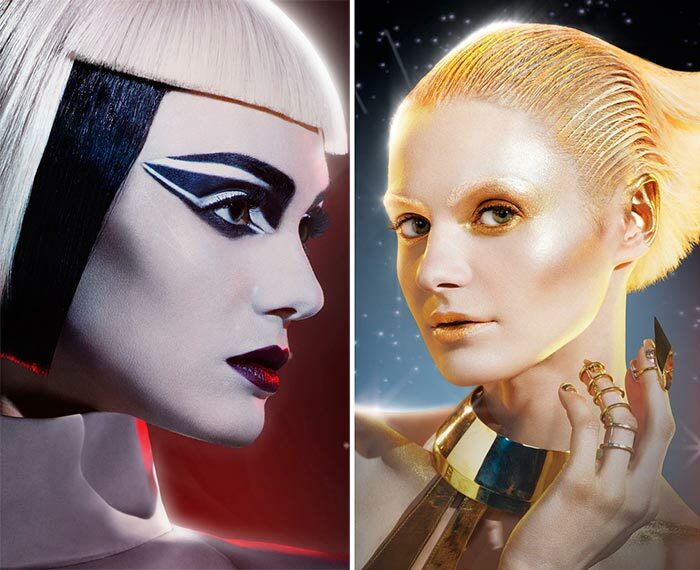 To help you recreate those looks Max Factor global creative design director Pat McGrath has created two exciting looks, the images of which are more than enchanting. She is as excited as every single hot fan of the movie. Pat says that she watched her first Star Wars episode when still a young girl and like the rest of the world, she got completely blown away immediately falling in love with the storyline, the out-of-this-world special effects, the amazing hairstyles, makeup and fashion looks of princess Leia, Luke Skywalker, Hans Solo, Darth Vader and all other characters. She confessed that she had watched all of the episodes and was waiting for “The Force Awakens’ for years with a thrill in her heart. And now that it is due to come to our screens so soon and that her brand collaborates with Star Wars, she decided to create two looks to preview several pieces of the upcoming Max Factor Star Wars makeup collection. Droid and Stormtrooper are two of the 6 looks that McGrath has created as part of the collaboration, which are a tribute to the “dark vs light’ concept of the movie. She says Droid was inspired by C-3PO and is all about strong gold eyes and lips that turn the model into a golden goddess. On the other hand, since Stormtrooper is a soldier, Pat decided to experiment with a graphic eye makeup to emulate the look. The model wears an asymmetrical blonde and black bob, pale skin enhanced with the powerful geometrical eye makeup and dark berry lips to structure the look. Both the looks are incredibly amazing and we are 100% sure that they can serve as a fantastic source of inspiration for thematic parties and Halloween this year. Metallics are back into popular route this season at the same time fit the movie perfectly, as McGrath explains. She advises girls to risk and play with gold or silver lips. Well, that is a perfects idea to cheer up and keep up with your favorite movie characters, so we dare you try and turn into your fave fictional characters yourselves, why not!